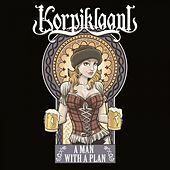 Happy little boozers Korpiklaani evolved out of a folk act called Shamaani Duo that played traditional Nordic dance music in Finnish eating establishments, and they certainly still stand as one of the planet's few metal bands to regularly employ accordion, windwinds and the two-string Finish lyre known as a jouhikko. 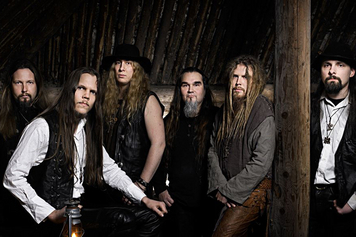 Inspired by guitarist/vocalist Jonne Jarvela's collaborations with fellow folk metal Finns Finntroll, Shamaani Duo spun off the band Shaman -- who played the same music, only louder. 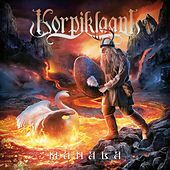 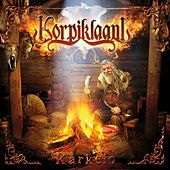 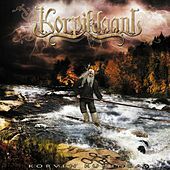 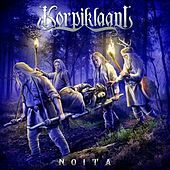 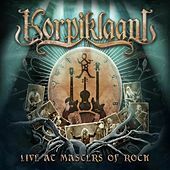 After a pair of albums, Shaman became Korpiklaani. 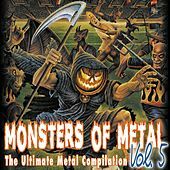 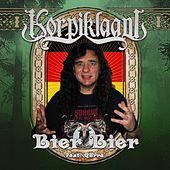 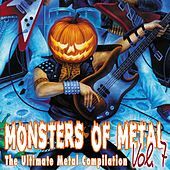 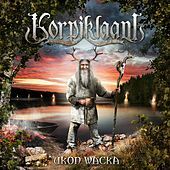 The band's mascot (pictured on most of their CD covers) is an ancient hobbit-looking fellow with antlers, often tending to his pet wolves in the middle of the frigid Finnish woods. 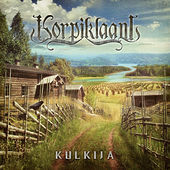 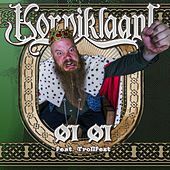 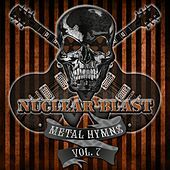 Though two members are alumni of the death metal gang Falchion, Korpiklaani's fallback rhythm is the polka-like humppa, and they're also fond of ripping hearts apart by swiping the melody from "God Rest Ye Merry Gentlemen" (or whatever prehistoric public-domain dirge that carol was based on), then switching the tune to something even sadder. 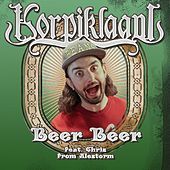 But more often their sound is a great sloshed swirl, and anybody who enjoys ale in wooden mugs could use some.